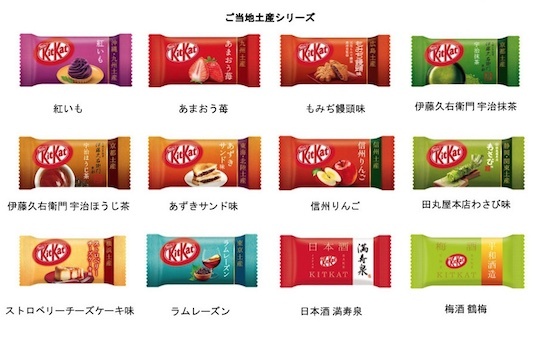 Nestlé has honed a brilliant marketing strategy in Japan: produce special versions of Kit Kat snacks with Japanese flavors and ingredients. 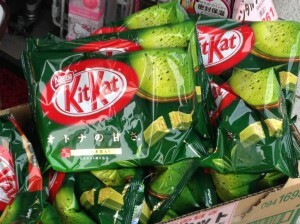 A few of these are general, such as the wildly successful matcha variety of Kit Kat, but some of the best are actually only available in certain regions to serve as omiyage souvenirs, which in Japan frequently means the local delicacies that tourists love to buy and take home. 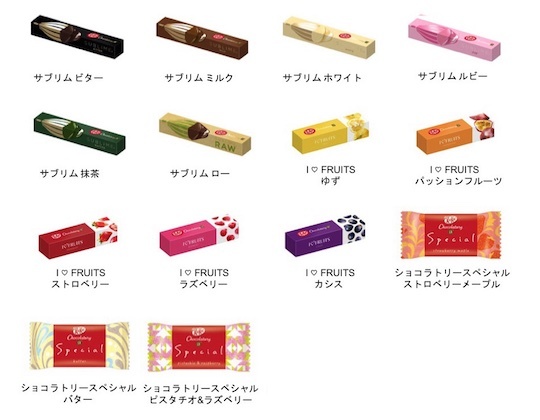 Some past examples include umeshu plum wine Kit Kat, Japanese sake Kit Kat, and a tie-up with the famous Tokyo Banana snack. 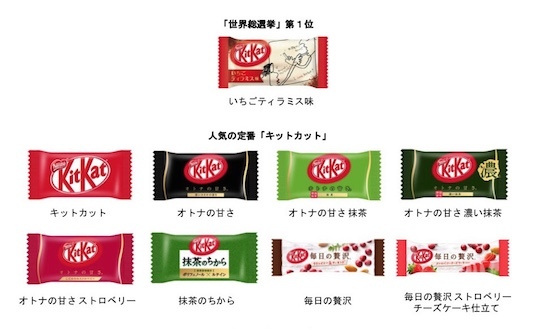 Now Nestlé is celebrating 45 years since the Kit Kat was first sold in Japan with a special limited edition box featuring a wide variety of the unique flavors exclusively available in the local market. 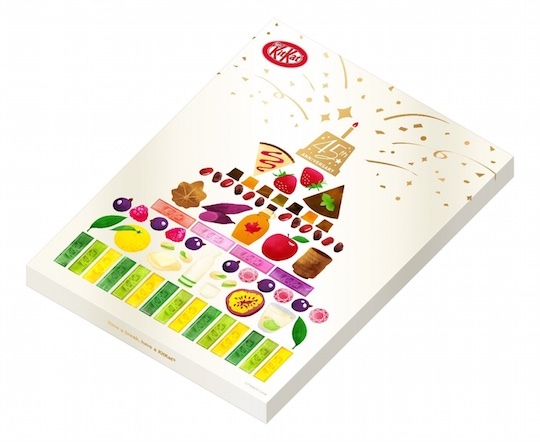 The Kit Kat Japan 45th Anniversary Box contains an assortment of 35 unique flavors. Some of the more unusual ingredients include sweet potato, umeshu, adzuki, tiramisu, passion fruit, sake, wasabi, sweet bean paste sandwich, apple, Japanese strawberry, momiji-manju, and, of course, matcha green tea. This deluxe set brings together these fantastic tastes for the very first time. You can guarantee you’ve never had a Kit Kat quite like these! 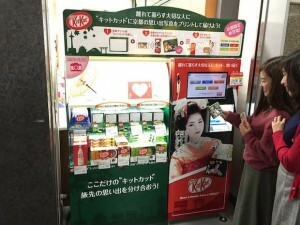 And don’t worry, a regular Kit Kat is also included, so you can compare the original Japanese flavors with the universal standard. 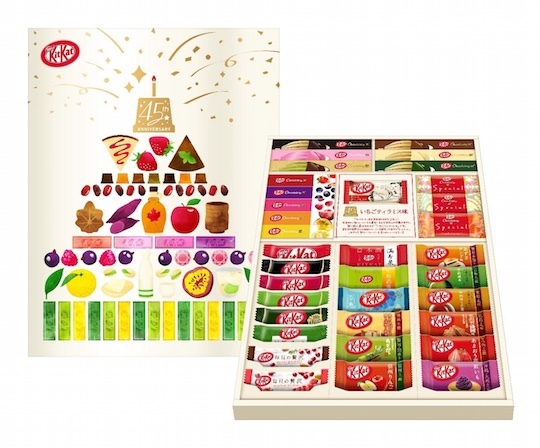 The Kit Kat Japan 45th Anniversary Box is now available while stocks last from Japan Trend Shop.